The overall goal of the project was to improve the health and quality of life of the poor and vulnerable in targeted areas of Papua New Guinea through providing access to water and sanitation and evidence-based hygiene promotion. Activities were directed towards communities, schools and health centres and complemented by WaterAid’s ongoing work with all levels of government to strengthen capacity to prioritise, plan, implement, finance and monitor WASH programs, including influencing the development of first-ever National WASH policy in 2015. The project had a strong focus on hygiene promotion – with the International Water Centre (IWC), WaterAid undertook hygiene formative research and developing tools for infant faeces management and menstrual hygiene management for others in the sector to use across PNG. It also had a strong focus on taking an integrated approach to gender and disability inclusion to strengthen equity and inclusion outcomes. 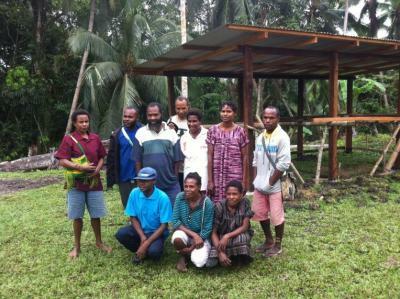 This program was implemented in the rural and remote areas of Sepik Region (East Sepik and Sandaun provinces), Western Highlands, and Chimbu provinces and the Central Province. Click here for Water Aid's project poster presented at the 2015 Pacific Regional Learning Event.